Parents and children alike knew Melanie Martinez as the official tour guide to bedtime on PBS Sprout’s “The Good Night Show”. Melanie sat every night on cable television alongside a lovable stuffed star, cleverly named, Star between airings of popular children’s cartoons. With a warm smile and even warmer heart, Martinez guided our children off to sleep in a magical way. The story of how Melanie Martinez was unsightly canned by the folks at PBS for starring in a hilarious viral video years before taking the job at PBS has been clearly documented within the realms of newspapers, on line gossip rags, and late night comedy shows alike. And honestly, I don’t want to talk about. If you want the details, Check out Blogger Michael Getler’s piece for the PBS Ombudsman entitled, “A Tale of Two Actresses”. No, I am more interested in the amazing things Melanie has been accomplishing since her departure. 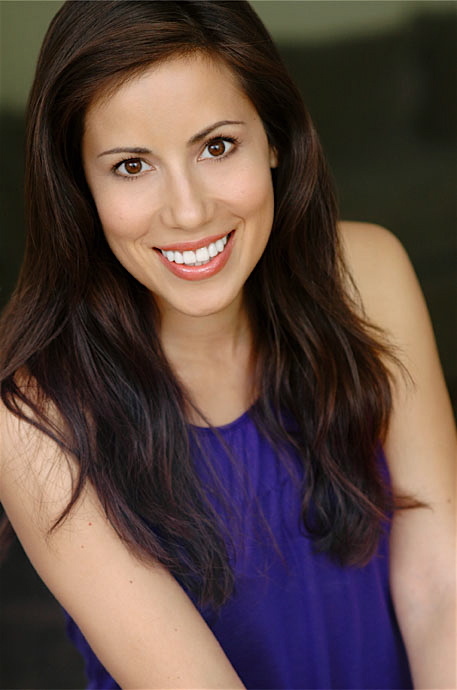 Especially an amazing new animated short she has been working on with her husband, director/musician Mark Newell, entitled Slap Back Jack: The High Five Master. With all the hype mostly dead and gone, it’s time to see what our former heroine of a child’s night has been doing. So I decided to ask her a few questions about her latest ventures. But beware, more amazing controversy is sure to arise. And it to make it all better…..it involves Shaun Cassidy. Enjoy! It’s been a while since PBS pulled a fast one on you and pulled your slot on Sprout’s “The Good Night Show”. But, is it safe to say that you have recovered nicely from the whole ordeal? Perfectly recovered, thank you for asking. Although, the experience did throw me for a loop when it happened, I was fortunate to be offered roles right away and continued to be a working actor. The one thing that constantly surprises me is the support I receive from Sprout fans. I still get emails from parents who watched me as “Melanie,” with their children. It is very kind and lovely to be thought of. Very humbling. You seem to have swayed into a behind the scenes sort of “behind the scenes” character, alongside your active acting career. What made you transition to a spot behind the camera? Yes. I am a producer, as well. It is a skill I acquired as a struggling actress that I love. There is a time early on in most actor’s careers, when we had to have day jobs. Right out of college, I tried to wait tables to make extra money like my other friends. It didn’t work. I was very bad at it, but I was a downtown theatre actress and needed to pay the rent. I started working for Deborah Feingold, the legendary celebrity photographer, and ended up producing huge shoots for her. I dove in and found I really enjoyed it. As I started to get more acting work, I was lucky enough not to have to supplement my income anymore, but knew I would produce again if I got the chance. I’m a big picture person and I like telling people what to do! For those unfamiliar with the award-winning animated short you produced, Slap Back Jack, could you give us a brief synopsis on what the film is about? 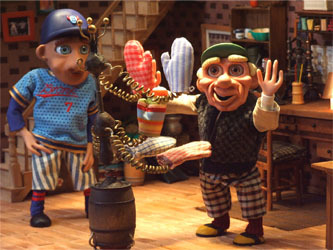 Slap Back Jack: High Five Master is a kid-friendly 11 minute stop motion animated short film narrated in rhyme. It tells the tale of how a star baseball player loses his mojo after returning to home plate and cannot manage his high-fives with his teammates. His coach advises him to see Slap Back Jack, the legendary high-five guru. It is a fun positive story of self-esteem, friendship, and hope. With some amazing banjo to score it! The children who see it always clap along. How did you become associated with the short’s director and animator, Mark Newell? Mark Newell is a talented Production Designer for Commercials. He does those hilarious Sports Center spots, among many other popular campaigns. I met Mark back in my struggling acting days. The salad years. He was an artist and in a rock band at the time. I became a fan right away. He is one of those people that can do anything and you root for. I married him 15 years ago and never looked back. Together, we are unstoppable! Where did the idea of a “High Five Master” as a hero originate from? Is it difficult trying to promote an independently produced animated feature in the overtly Disney/Pixar saturated business that is children’s entertainment? music. It doesn’t get any better than that. Recently, we got a golden stamp of approval from NAPPA (National Parenting Publication Awards) and a wonderful endorsement from Kid’s First. For children’s programming, that goes a long way. We also took Jack to the Baseball Film Festival at the National Baseball Hall of Fame this summer. It was a very proud moment. A dream come true. The short has definitely received great praise within the realm of animation, and has even spawned a second episode. So, what can we expect to see next? Our second shorter short, White Gloves Willy, was an experiment to see if we could gently move Jack away from sports to broaden our topics. Willy is a traffic cop. It works. Cartoon Brew picked it as a focus and BAMkids Film Festival just asked if they could include it in their festival this year. We are in the process of expanding Jack’s world for a television series and are creating the pitch book for it now. He has a house band, a neighbor, etc. Music is being written as I type! It is a very exciting time. I also see the book, game apps, and a feature-length film on the horizon. Mark and I work so well together and speak in a short hand that is very helpful during such a tedious process. We are having a ball with this project. According to your website’s Bio section, you “choreographed” complex roller skating routines to Shaun Cassidy songs”. Personally, I find this absolutely amazing. Do you still know any of these routines, and how quickly can you get them on YouTube? Ron, four wheels are unicorns and rainbows for me! We have a weekend country house in upstate NY and in the “big town” there is the most incredible roller rink. It is my paradise. If I start YouTube-ing my routines, I may not give you credit, but know you had a part, okay? And, of course we have to ask, what does the future hold for Melanie Martinez? Now, what might be the most important question of all….What was the last thing that made you smile? Well, I smile every day, but on Tuesday, Mark and I had a parent/teacher conference at noon. We heard how wonderful our son is doing in school-he is a voracious reader, encourages others, excels in math, etc. Then at seven, we watched him walk the red carpet with Tilda Swinton and Lynne Ramsay for his new movie, We Need To Talk About Kevin. It was a really good day. To learn more about Melanie Martinez, check out her official website. 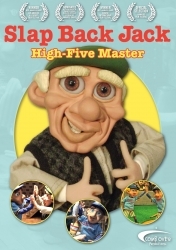 And find exclusive information on Slap Back Jack: High Five Master at the films website as well.